The next date for allergy testing is Tuesday 28th May and Wednesday 29th May 2019. Why not have an Allergy/Food Intolerance test? The test is safe and simple and is suitable for all ages, performed by a highly trained and experienced practitioner, and includes Allergy Testing, Food Intolerance Guide, Vitamin Analysis and Mineral Testing. The test used is a Vega Test which is an alternative electrical method of testing for food and chemical sensitivity. The test is painless and involves holding a metal rod in one hand and gently touching a finger on the other hand with a light pen. This is intended to read a change in your body’s energy field which is the result of a sensitivity to the substance being tested. The results will be given in writing and you will also be given a full dietary explanation and advice on any foods which may need to be replaced or omitted from your diet, including advice on replacement foods. 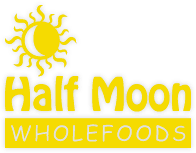 If you would like to book a test please call into Half Moon Wholefoods, 14 Front Street, Brampton, Cumbria CA8 1NG or telephone 016977 3775. Next Date: Tuesday 28 May 2019 and Wednesday 29th May 2019.